Comments Off on Missoula Southgate Mall: Grand Opening for H & M! Missoula Southgate Mall: Grand Opening for H & M! Missoula Southgate Mall is a convenient, fun place for shopping and dining in one destination. With more than one hundred stores and ten thousand brands, there is something for everyone in the family and for every occasion. 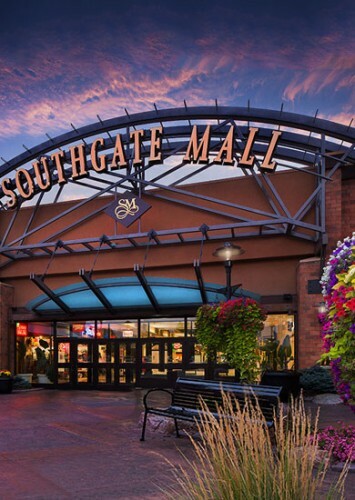 The largest mall in the western Montana area, Southgate Mall stores offer women’s apparel, shoes, kid and teen clothing, jewelry, sporting goods, appliances, electronics, and more. Browse their department stores, specialty shops, and fine boutiques. Southgate Mall features an exclusive photo exhibit called, “Hallways to History–A Photographic Walk Through Missoula’s Past.” This photographic tour of Missoula‘s history includes pictures that date back to 1883. Each photo has a narrative describing its historical significance. This fascinating exhibit, on display in each of the major service hallways, can be seen daily during the hours that the Southgate Mall is open. September 24, 2015 marks the Grand Opening for H & M! Check out their beautiful new store and all the hottest fashions and quality at a great price. Women’s clothing: from casual day-wear to amazing party dresses, via relaxed leisure separates, high performance sportswear and contemporary maternity apparel. Men’s clothing: their collection includes smart shirts and suits for work, the latest trends, tailored classics and comfortable leisurewear. Kids’ clothing: offers children everything fashionable from super-cool jeans to pretty dresses, in sizes from baby to 14 years. Divided: fashion-conscious teens like their functional clothing and accessories from relaxed basics with sporty influences to eye-catching party outfits that will even please fashionistas. Denim: denim trends and ever-popular classics are available in a variety of colors, designs and washes, along with updated shirts, jackets, dresses, skirts and shorts – all in denim. Accessories: complete the fashion look with perfectly matched accessories – from scarves, belts, hats and jewelry to fashion footwear and bags for women, men, teenagers and children. Sportswear: sportswear and accessories in specially developed functional materials available for women, men and children. Southgate Mall hosts a Fall Fashion Weekend from October 15 through 18. Take advantage of the school break and enjoy time at the mall. From boots to scarves, find all the latest fall fashions for less and all under one roof. Blue Mountain Bed and Breakfast of Missoula, Montana provides a scenic, restful retreat to those looking to get away. Those who are energized through shopping, will love our Southgate Mall as well as our Montana Antique Mall and trendy downtown. Each morning our guests awake to our complimentary, fresh gourmet breakfast. 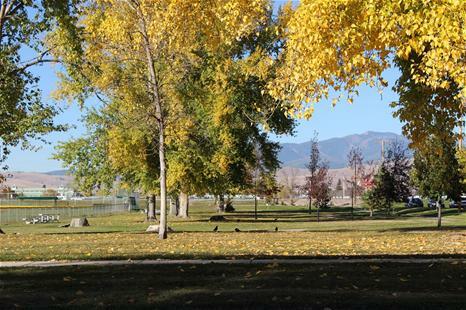 Missoula, Montana is the place to be this fall and throughout the year. Liquid Planet, a favorite local Missoula coffee shop, was founded by a university professor who set out to create the evolution of the coffeehouse and develop a new culture of beverage. During his student days, he owned and operated the “Java Bus”, the first espresso and specialty coffee business on the University of Montana campus. 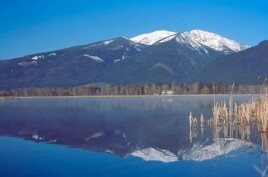 Liquid Planet has an online store in addition to their store location at 223 N Higgins in Missoula, Montana. Liquid Planet believes that life quite literally revolves around beverage. Their mission is to create a purposeful and trusted brand of beverage that will lead to a more healthy and quality lifestyle. They do this while incorporating sustainable business practices throughout their company. Liquid Planet was established as a “green” beverage company with a special focus on all-natural, organic and sustainability. Considering the fact that every human being consumes well over 50,000 gallons of liquids during the average lifetime, it is no wonder there is such a demand for beverage variety and equally important – quality. The ultimate goal of Liquid Planet is to raise the culture of beverage to a wholesome new level. Liquid Planet has gone on to create what they say are the finest organic and all-natural coffees, teas, flavored syrups, cocoas, chai, smoothies and frappes in the world. Liquid Planet is also the place to find the best of beverage makers, brewers, and the finest accessories for beverage creation and service in your home or office. Liquid Planet produced the video below, asking a variety of people in Missoula what is their favorite thing about Missoula? The most common response was the people of Missoula and the sense of community. 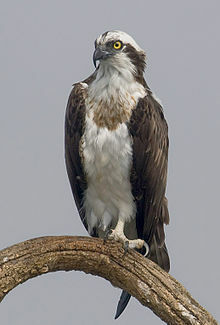 Specific comments about the people were that they are friendly, happy, open, and accepting. It is easy to make friends wherever you sit down. Missoula is a relaxed environment that is just the right size to have a diverse amount of people. 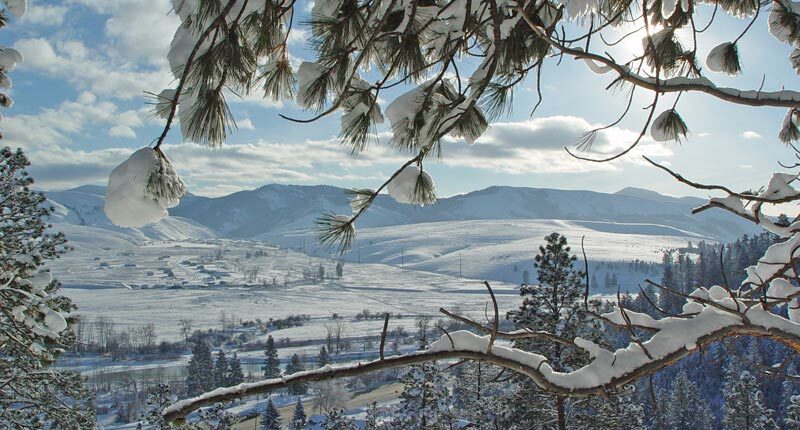 Some say Missoula is the nicest place to be in Montana. There is so much culture to discover! 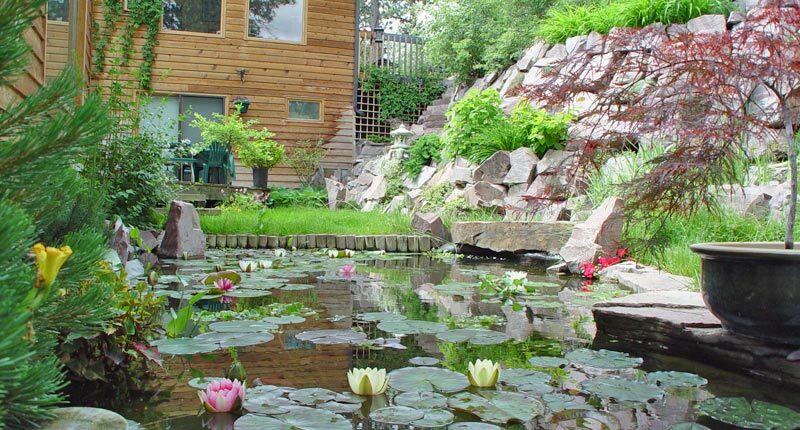 Spending time outdoors is great all four seasons. There are plenty of coffee shops to savor. People like walking (and shopping) Downtown and visiting the market on Saturdays. Missoula has a place for you no matter what your interests. Missoula has a variety of restaurants (see Destination Missoula’s list of restaurants and food trucks) to cater to whatever guests are in the mood to eat. From the unique feeling of downtown to the outer edges of Missoula, there is sure to be a local restaurant to make your taste buds happy. If you are looking for something new and uniquely Montana, try a delicious bison burger from one of the half dozen local Missoula restaurants (listed below) who serve them to their diners. “Made in Missoula” means made with love from someone in Missoula. This is especially true of our tasty buttermilk biscuits we bake for our guests to enjoy. 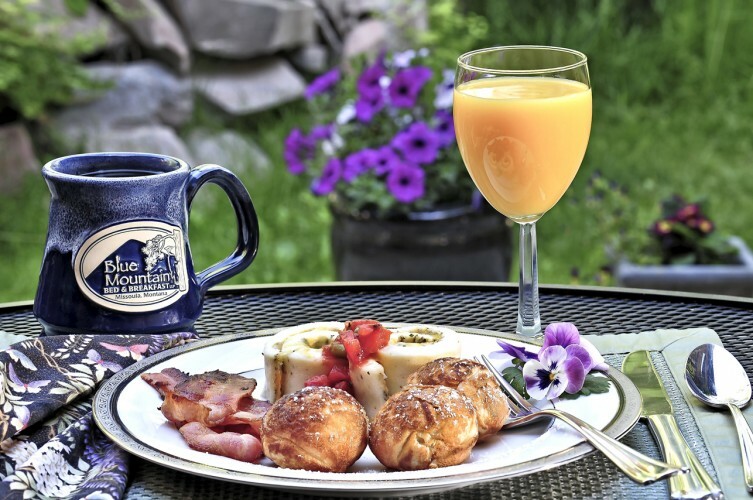 In fact, the gourmet breakfasts alone at Blue Mountain Bed and Breakfast have our guests wishing they could stay longer! 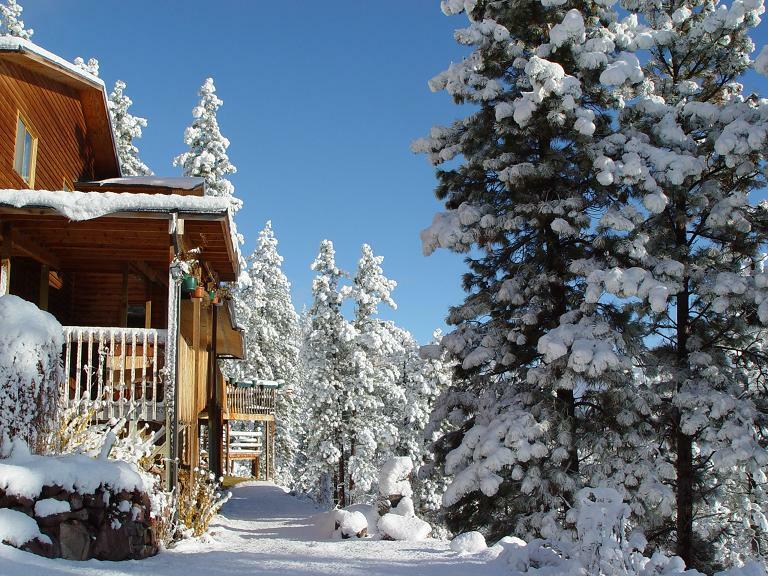 Brady and Elaine are the perfect hosts at this scenic mountain getaway! Book your stay today! In just over two weeks it will be Christmas. In other words, it’s time to get serious about shopping. 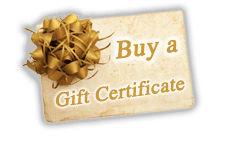 Make a holiday out of your holiday shopping this year. 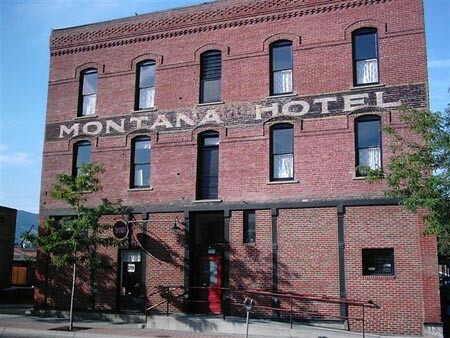 Spend a night or two in our Missoula Montana Bed and Breakfast and shop until you drop. You’ll have lots of energy, thanks to the delicious and hearty breakfast we’ll serve you, so you may finish your shopping in record time. Southgate Mall is quite close to our Bed and Breakfast Missoula. This weekend through Christmas, there will be a fun Gingerbread House contest and display at the mall, sponsored by the Ronald McDonald House. The selection at Southgate Mall can’t be beat – there are over 100 stores and more than 10,000 brands. There are dozens of shops in downtown Missoula. Find something unique and help a good cause at Missoula 3:16 Thrift Boutique. Pick up something for the kids in your life at Blackbird Kid Shop, which features many locally made products. Betty’s Divine has divine clothing and accessories for women. Fact & Fiction is a great bookshop, and Rockin’ Rudy’s is a fun place to find everything from CDs to jewelry. 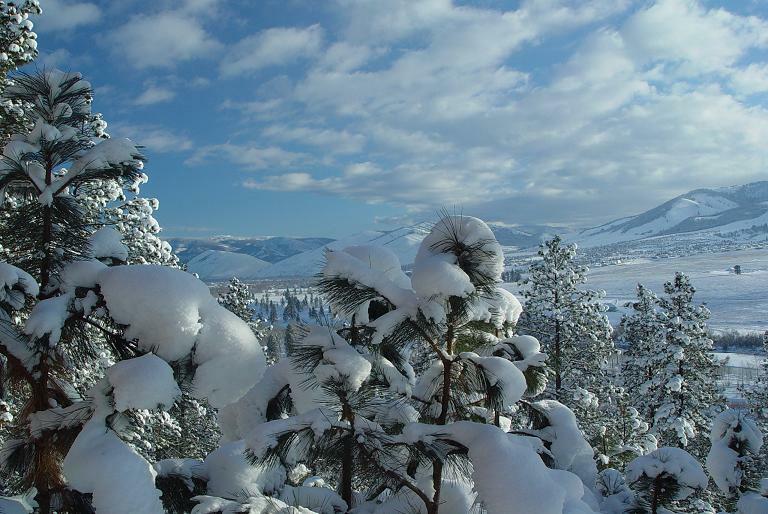 Once the shops close, let us pamper you with a gourmet dinner at our Missoula inn (groups of four or more only). 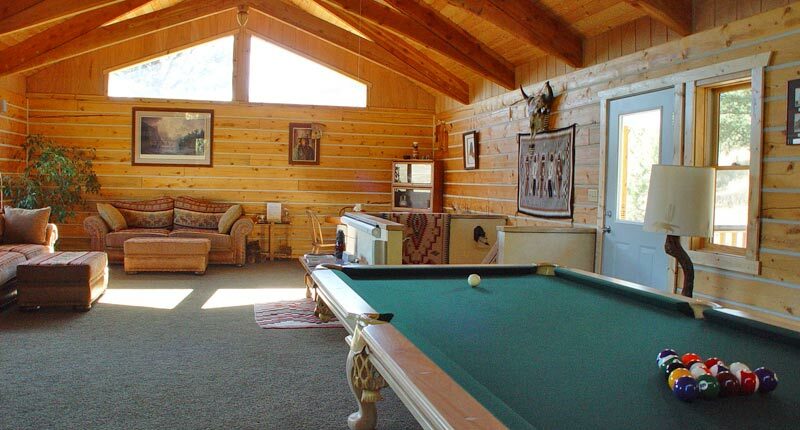 Or after dining in town, relax in our recreation room over a game of billiards or cards, or put your feet up and watch a movie on the wide-screen theater system. Popcorn always provided!